Pottery dinnerware is MADE TO ORDER just for you! Please allow time for production. 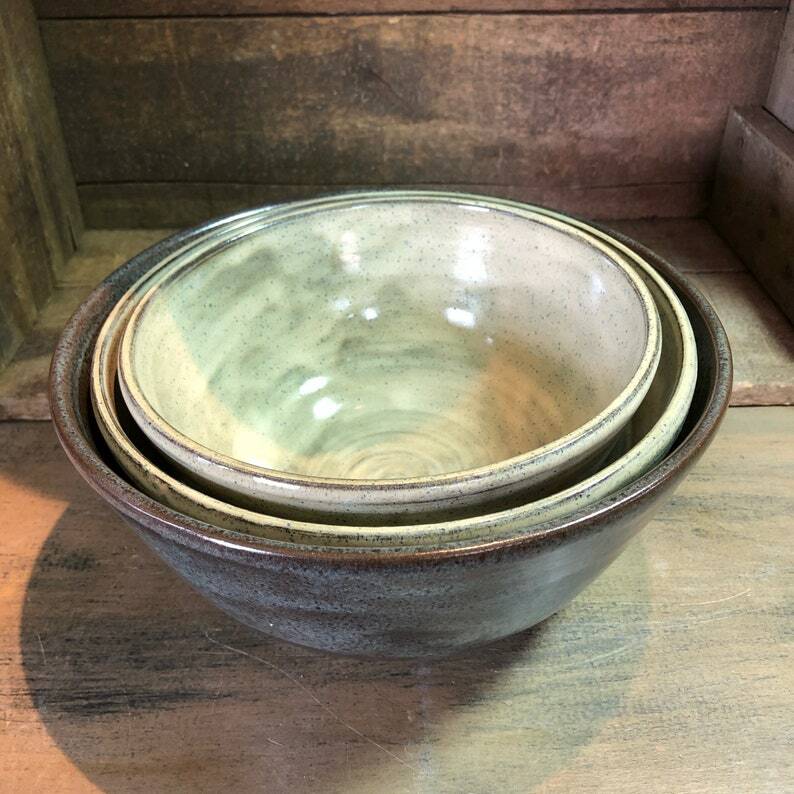 These handmade mixing or serving bowls are glazed in your choice of lead free glaze. A one-of-a-kind pottery bowl that will be a pleasure to use for years to come! All handcrafted pieces are wheel thrown, trimmed, signed, glazed, and fired to cone 6 by me! Each piece will be unique. Pottery bowls are food safe, microwave safe, and dishwasher safe! If you would like your bowls in more than one color, please note special instructions in the message to seller section of your order. This is a stock photo. I throw each item individually. Pieces will be similar in size and shape, but natural variations will occur in both shape and glazing. That's what makes handmade so great!! The bowls are beautiful! They are conveniently sized and well made.